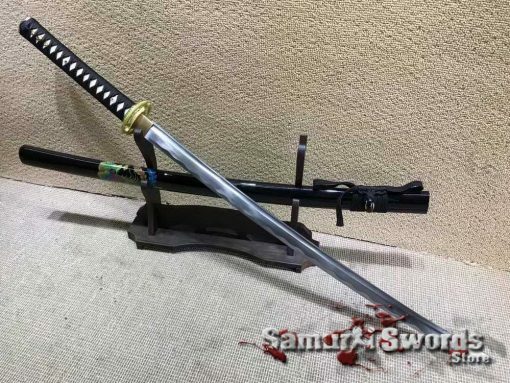 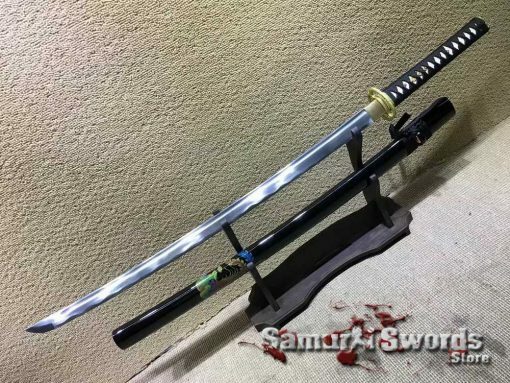 This is a sharpened Katana sword that is fully functional, It is made from 1060 carbon steel which is commonly seen in most entry-level samurai blades. 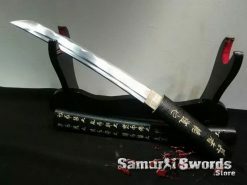 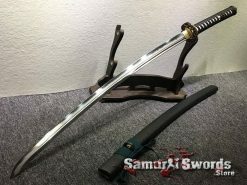 This type of steel consists of 0.60% carbon which makes the blade of this Katana sword very suitable for slicing and cutting soft to medium targets. 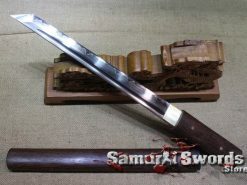 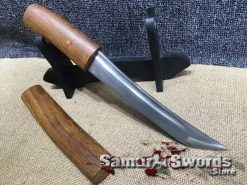 The length of this sword blade is seventy-two centimeters while the handle length is twenty-seven centimeters. 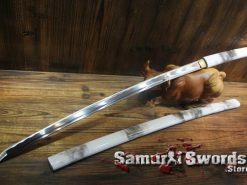 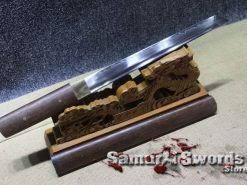 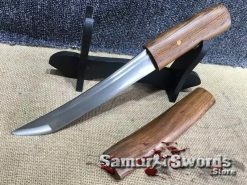 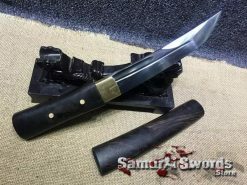 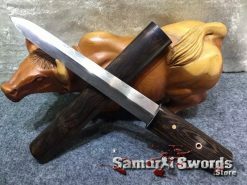 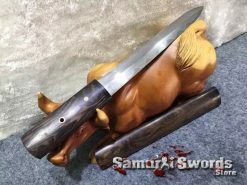 The blade width is 3.2 centimeters and it features bo-hi (sometimes called blood groove or fuller) which is present to help make this Katana become more lightweight. 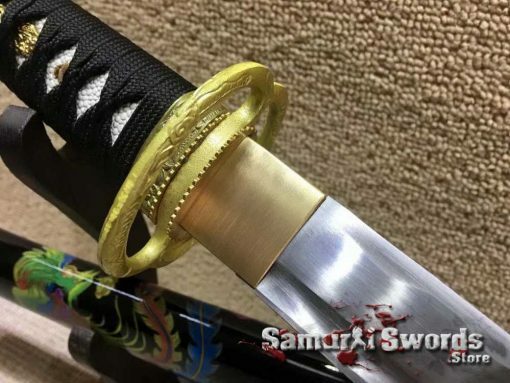 The Katana is suitable to for either one or two hands use. 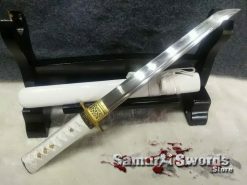 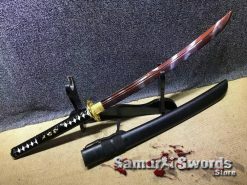 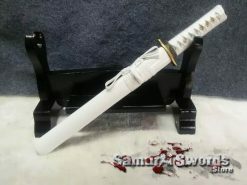 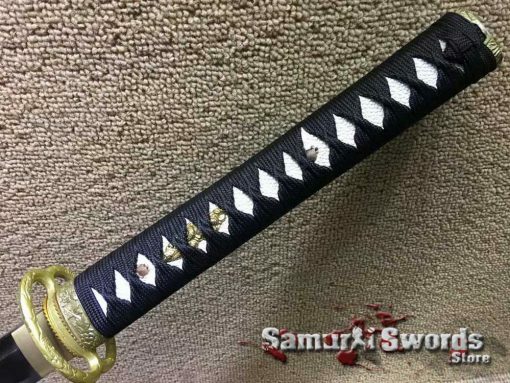 For gripping the sword comfortably, this Katana features white ray skin samegawa with elegant black rayon silk ito wrap. The tsuba, menuki, and the fuchi are all made out of brass; and the kashira is made of metal. 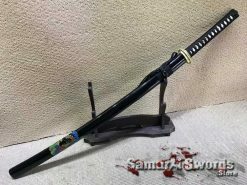 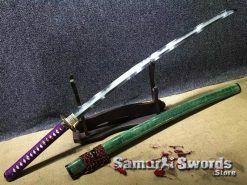 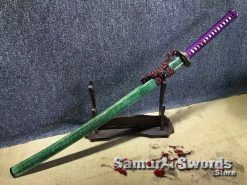 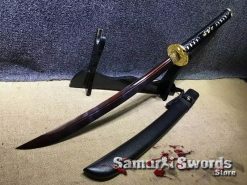 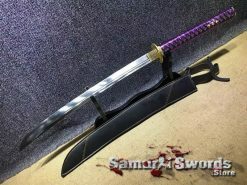 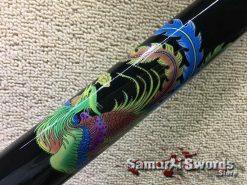 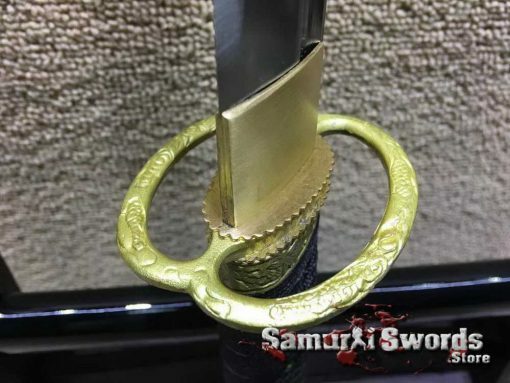 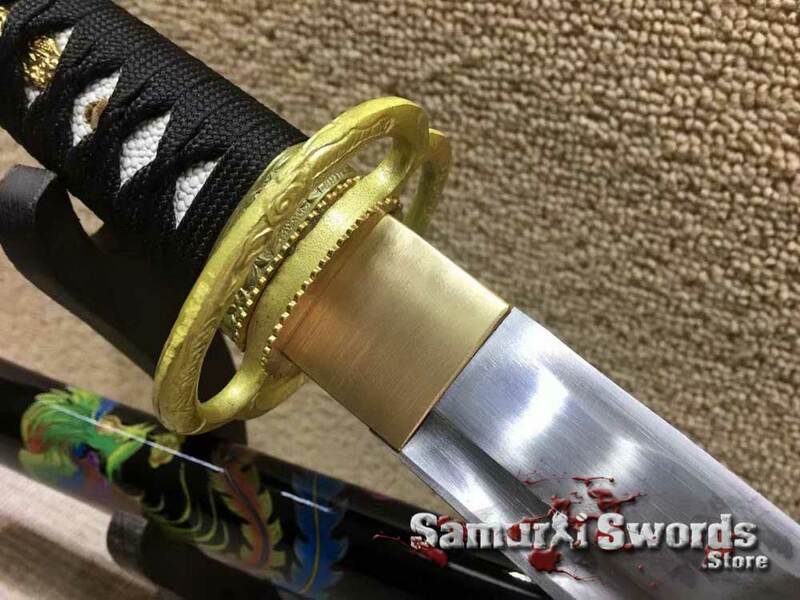 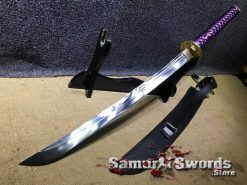 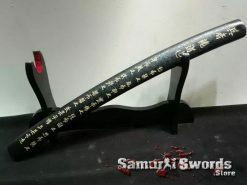 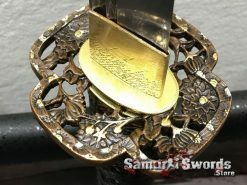 This Katana sword has a beautiful black saya with a colorful phoenix inscription; that adds more beauty and elegance to the sword physical appearance. 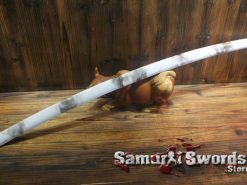 Included upon purchase is a silk sword bag; this is a Katana sword total weight is 1.54 kilograms, allowing you to easily use it for tameshigiri and training.